Even if you already know how to root a plant in water, you can make the process more successful with great tips from David Clark, professional horticulturist. He also shares tips on two easy methods for starting plants that you may not have used before. 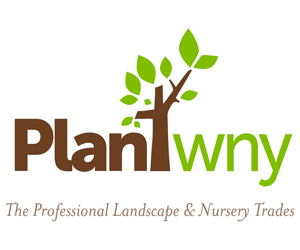 Clark recently gave two hands-on workshops on plant propagation at the Buffalo and Erie County Botanical Gardens. Roots will grow out of the nodes or bumps on the stem of this Wandering Jew plant. Clark says these bags make great mini-greenhouses for rooting plants or for recently transplanted plants. Just pop the plant into the bag and zip the bag up partway. This will help keep in moisture. At the same time, having a small opening allows for airflow to prevent the growth of mold. 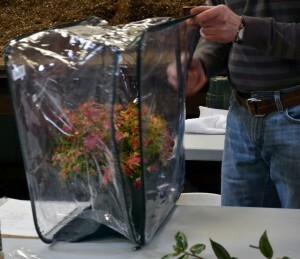 “I almost always root with a bag because, unless you have a greenhouse, the plant needs to be enclosed,” Clark said. The bedding bags, as seen in the photo at the top of the story, can accommodate a large plant or several small plants. 2. Use rooting powders. One of the simplest ways to propagate plants is by placing a plant cutting in water. 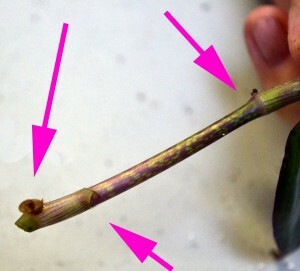 Cut the stem straight across above a node (see photo above). This method works well with soft, fleshy plants such as Wandering Jew, ivy, arrowhead plant and spider plant. You can increase your chances of success by using rooting products, Clark said. Many commercial products are available. These products kill fungus and bacteria to prevent the stem from rotting, and contain a growth hormone to speed the formation of roots. Pour out a small amount of powder and dip your stem into the powder. (Don’t stick the stem directly into the product container.) Let the stem set for a minute. The plant will absorb the powder. Stick the end of the cutting into water; the water won’t wash off all the powder. You can also use common household products to aid rooting, he said. Dip your plant stem into cinnamon to kill fungus and bacteria. To promote root growth, create a rooting solution by dissolving an aspirin in water. 3. Give your new plant time to acclimate from water to soil. If you root your cutting in water, it develops roots that are best adapted to get what they need from water rather than from soil, Clark pointed out. If you move the plant immediately from water to soil, the plant may be stressed. Instead, add a small amount of soil to the water that you’re using to root your cutting. Do this slowly, over a period of four or five weeks, to help acclimate your plant to its new growing conditions. 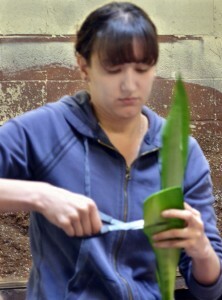 Lissette Ruotolo of Amherst, a participant in the workshop, cuts the leaf into sections. 4. Discover leaf section propagation. 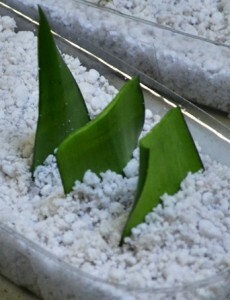 If you have a succulent such as the sansevieria above, you can start new plants from the leaves. You don’t even have to use the entire leaf; a section of leaf will do! You can use this process for other succulents such as Christmas cactus, too. 5. Encourage plants to propagate through runners. Look at the photo of the Wandering Jew near the beginning of this article. 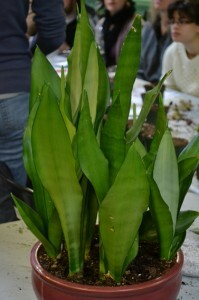 Another way to propagate plants like this is to bury the stem horizontally. Baby plants will spring up from those nodes. Are you sorry you missed these workshops? Check out all the exciting classes and events coming up in the Buffalo area on our Events page. How do I root roses from the florist? How do I start them rooting and growing? Tina, I’m working on an answer to your question about how to root roses from the florist. When I have the information, I’ll let you know. Thanks for the question! Thanks so much for the question! Brook, there’s a pink button that says “Subscribe for free” on every page of our website. You can also hit “Subscribe” in the black bar across the top of the page. I’m sorry you had trouble finding it; I have added you to our list. Please tell your gardening friends! I am visiting Texas and want to try and root a curry leaf plant from a cutting. I am a newbie at this, but the plant has a main stem and then stalks. Each stalk has several leaves on either side of the stalk. If I pluck a stalk and stick it in water with an aspirin dissolved to assist roots, will it grow roots? Or do you have other suggestions? Thx! !